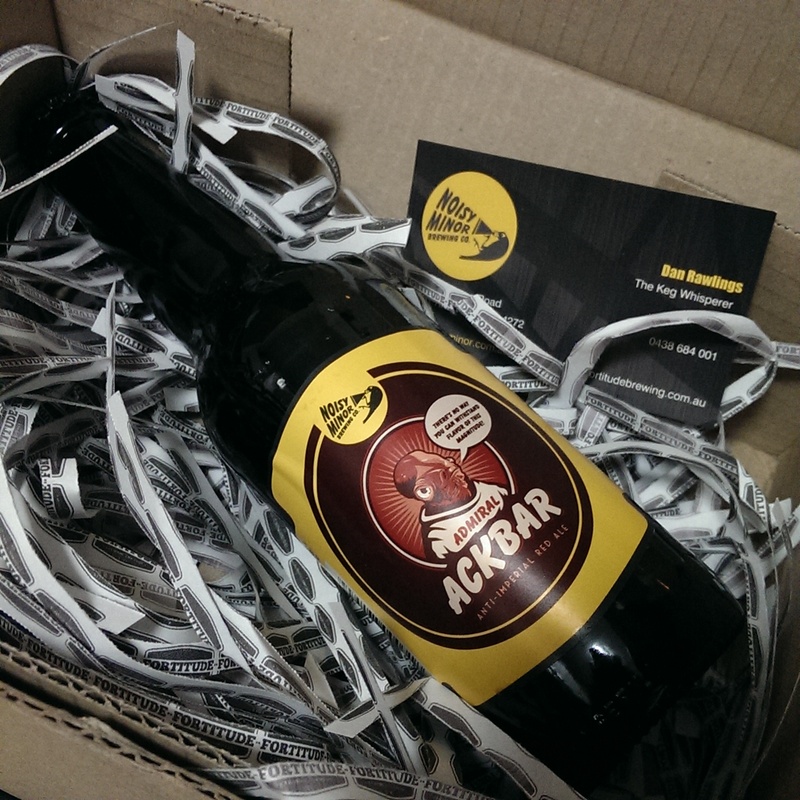 Last month, I was honoured to be highlighted in the inaugural “Aussie Beer Bloggers” feature on the Crafty Pint. I’m happy just to find out people read what I put up, but to be recognized like that was something else. To say I was a bit chuffed would be an understatement. I started Brews and Bacon for the 3 ‘F’s: fame, fortune, and free beer in the mail. After almost two years, I can safely say I’ve achieved zero of the above. Well, it took 2 years, but I finally managed to tick 1/3 of that list. On my arrival back from Melbourne for a work trip, which ironically enough also saw me meet up with James from the Crafty Pint to get photos for the above mentioned article, I was greeted with a small, unassuming post box. 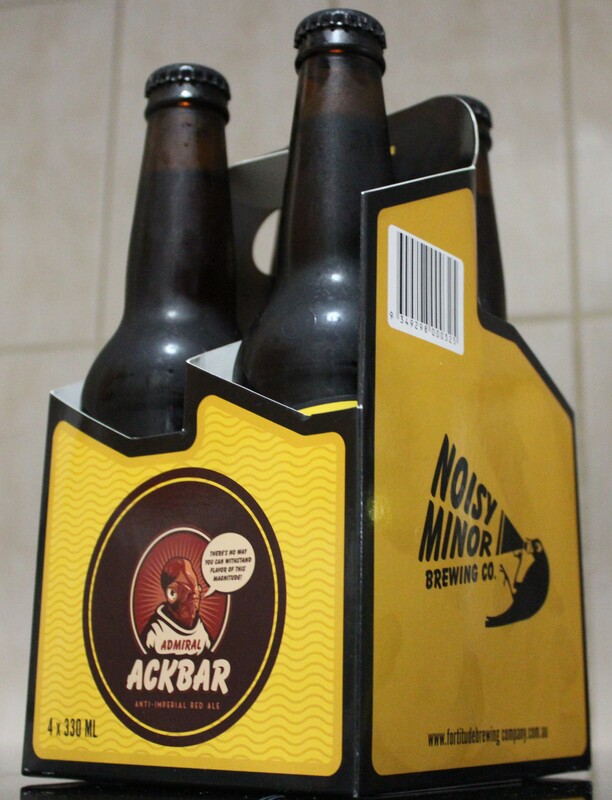 To my great joy, there was a bottle of Noisy Minor/Fortitude Brewing ‘Admiral Ackbar’. Either the folks from the Mount Tamborine based brewery see me as someone worth sending a sample to, or they’ve read the Crafty article and took pity on me. If I were a betting man, I’d say it was the later. 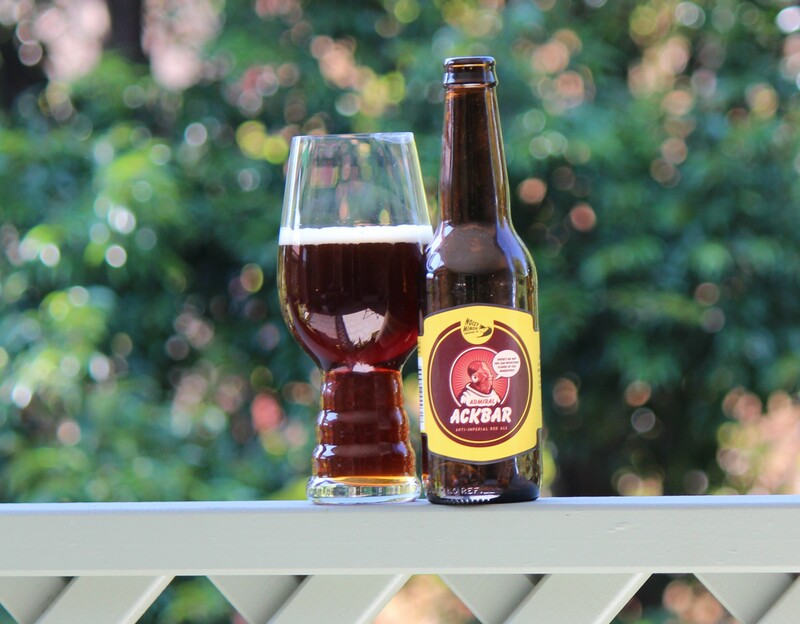 To celebrate this milestone in my blogging life, I’ve decided to do a bit of a review on the Ackbar. I know what you’re thinking now: “It’s going to be biased. You got it for free and are going to up it. You’re nothing more than a corporate shill that’s easily bought.” For the most part, you’re right. I am going to sing its praise and I am easily bought, but those can be mutually exclusive. I’ve been a big fan of Fortitude/Noisy Minor for a while now, and have been very vocal in my love of their Anzus IPA and Pacer Ale. I first experienced ‘Admiral Ackbar’ last year during the Noisy Minor Shout. The brewery brought together other brewers, beer media, and punters for a multi-bar pub crawl. 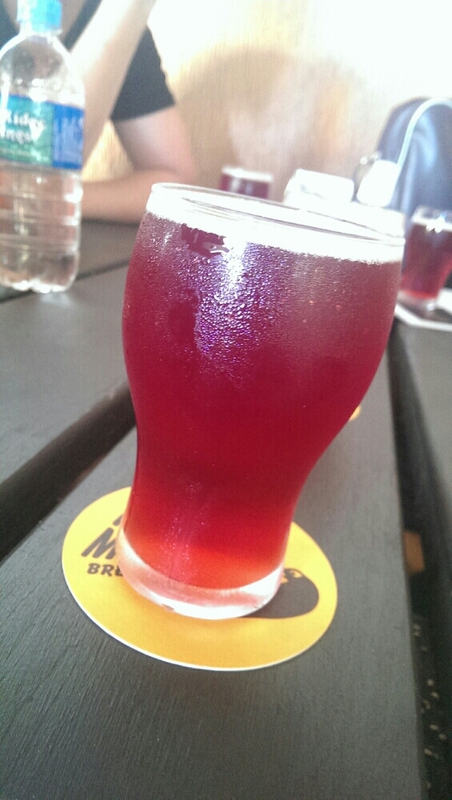 The ‘Anti-Imperial Red Ale’ made its appearance at our 3rd venue, Tipplers Tap and I fell instantly in love making it my top pick of the 10 new beers we sampled that day. Fortitude/Noisy Minor have gotten into the bottling game now, with local favourites such as the Anzus IPA and Golden Ale being one of the first to roll off the line. As happy as I was to see one of my favourite IPA’s made readily available for home consumption, the idea of being able to have some Admiral Ackbar whenever I want is truly fantastic. The beer itself pours a rich red and you’re met with a wonderful scent of sweet malt, Nelson Sauvin, and Citra hops. With such a big punch of aroma, one would expect some big flavours and our favourite Mon Calamari does not disappoint. It weighs in at a sturdy 8.5% which, because of the balance, can be quite dangerous and can go down a bit faster than other reds of its kind. The best thing you can do though is try some for yourself. If Gillian from the Mill isn’t hoarding all the kegs, you can find some at many of the good beer bars in Brisbane. If you’re having trouble tracking some down off tap, however, just head to one of our many bottle shops selling great local beer.